Quick shout out to the most wonderful mom on this planet! 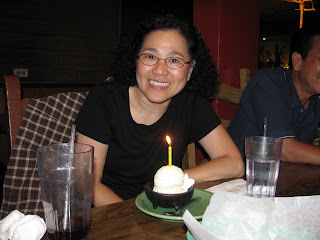 Happy Birthday, Mommy! For my mom's and sister's dual birthday, I made these simple cupcake and silver cupcakes! 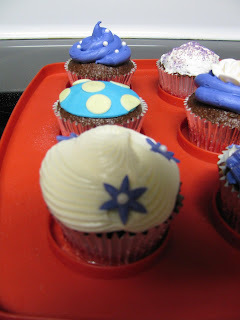 Because they both like the color purple, I decided to make each cupcake unique, yet still stick to the color theme. 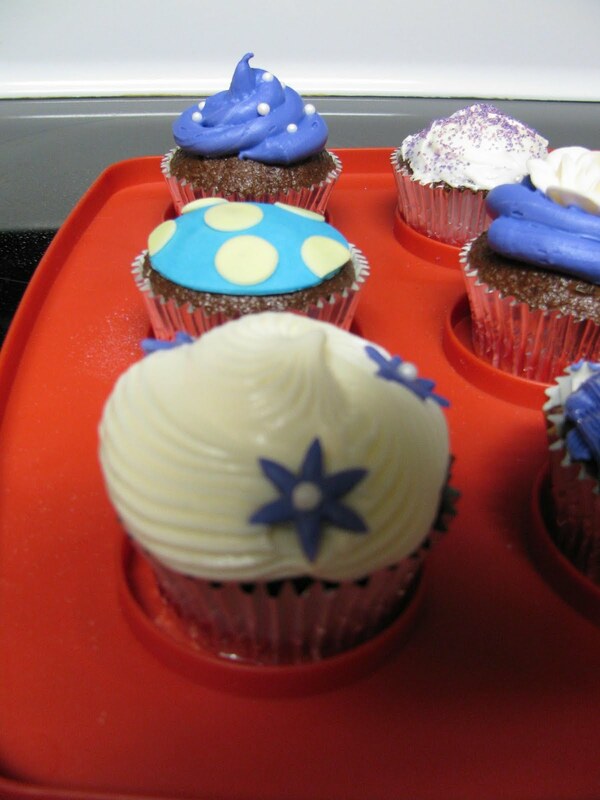 As you can see, there are some yellow and blue cupcakes mixed into the purple and white theme. That was because I had some friends over on this wonderful Friday evening and they wanted to help! So I gave them a cupcake and they had some fun with blue and yellow fondant (I had already ran out of purple fondant). 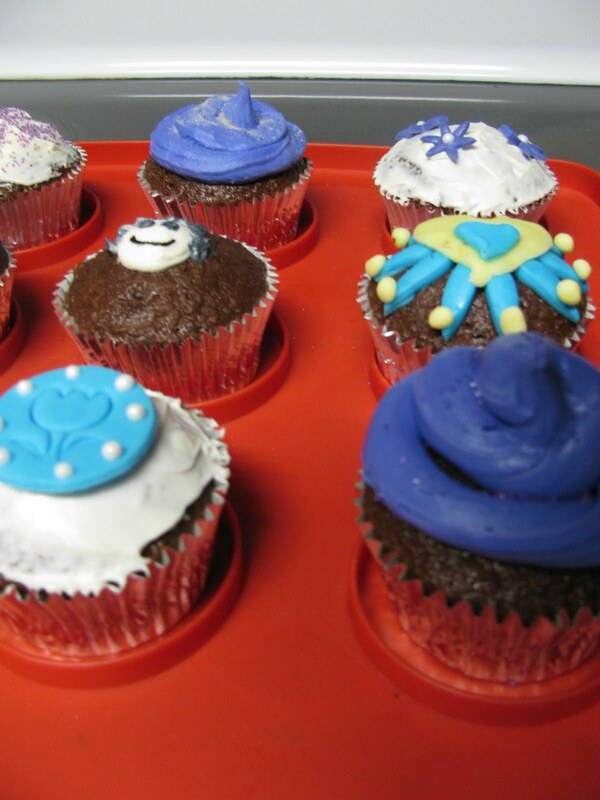 Luckily, the blue/yellow combo works well with the purple-themed cupcakes! 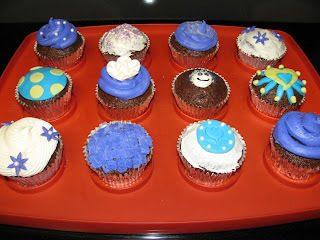 Cupcakes: German chocolate cake; most cupcakes are topped with vanilla buttercream icing; cupcake decorations are made of tinted fondant, edible pearls, fine sanding sugars, and/or edible silver luster dust.